into this, for around 100 families in the community and the children of Jolly Mercy Learning Centre. 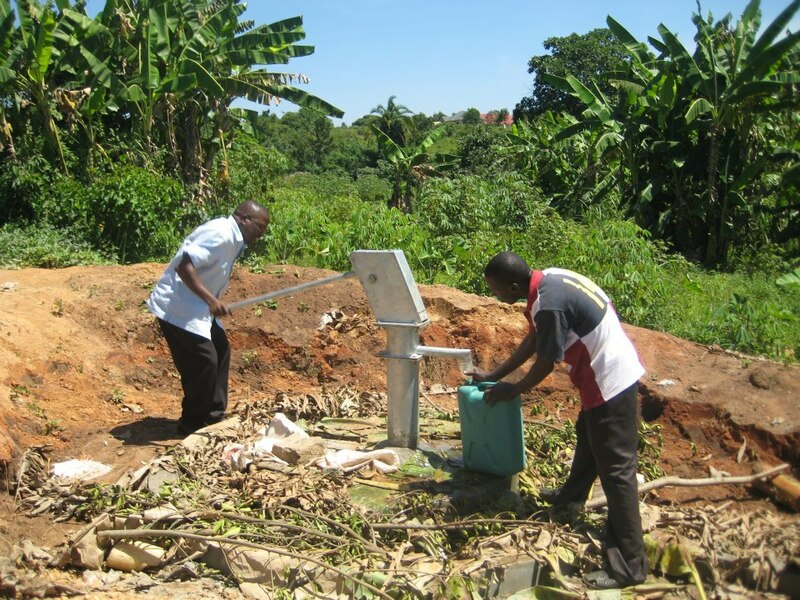 Dr James Ssekiwanuka of CALM Africa pumps the first water. 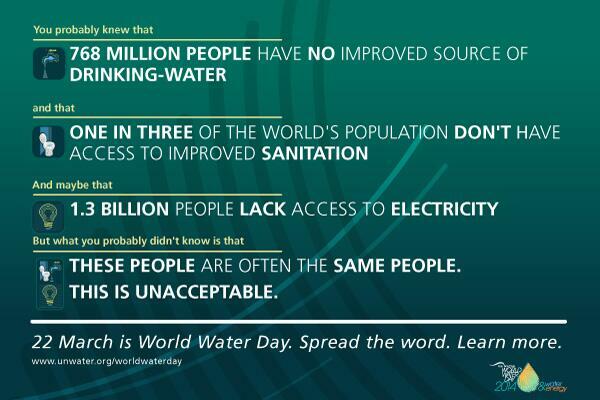 On Saturday 22nd March it was UN Water’s World Water Day. 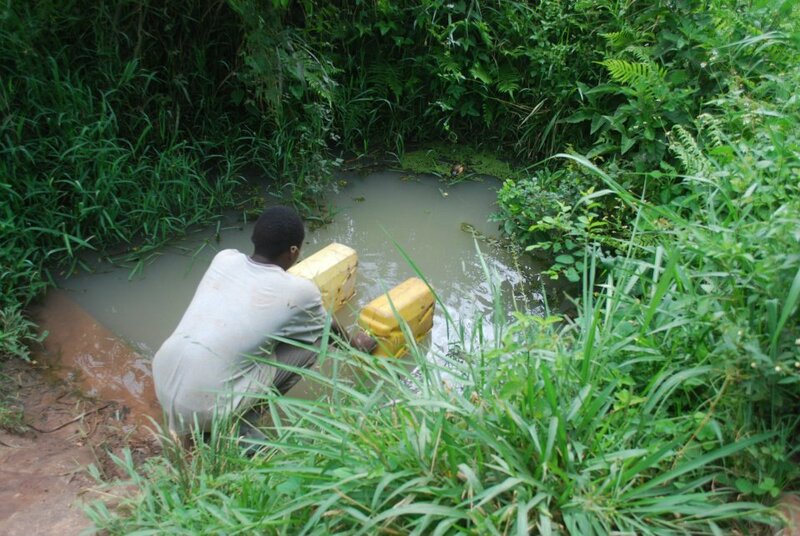 I am Natalie Moore, Director of Children First Uganda and volunteer of CALM Africa and this is my brief story of the Moore Water campaign. In October 2011 I visited Uganda for the second time to work with CALM Africa, this time with 3 friends – Susan Wiseman, Lisa Vicary and Sarah Melville. Within a couple of days of being there, we had seen the pool that was the water source for the local community and our school, Jolly Mercy, particularly in the dry season. The pool is a natural spring to provide hundreds of people with water but, with the surrounding environment and agriculture, it was unprotected, dirty and contaminated. People would often not boil the water, drinking it straight from the pool along with everything else in it. From that one visit and conversation, the project began. 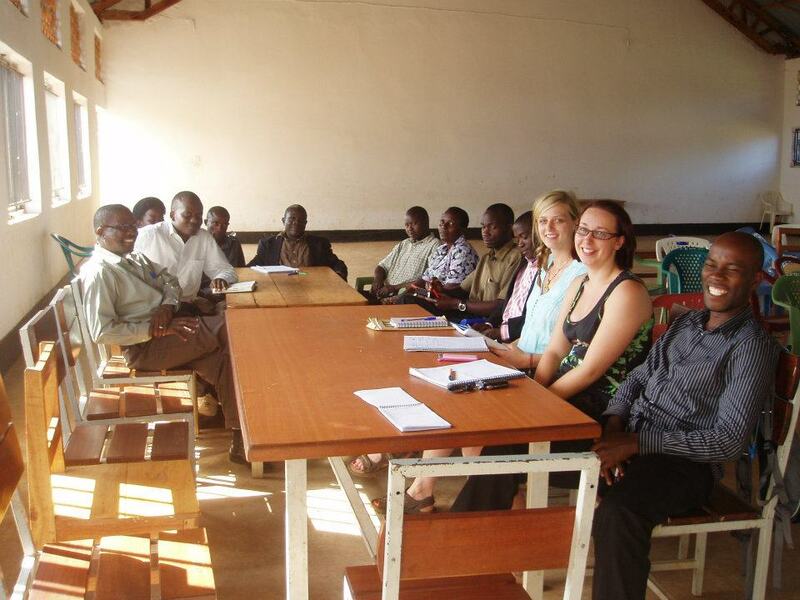 Volunteers, CALM Africa, Kenneth the engineer and local community leaders come together to plan. …just to name a few things!